The album I.o.T by A CORAL ROOM (where this title is taken from) will be released as limited Vinyl (300 copies) in a Gatefold sleeve and in the digtal format only. Digital release will be available as 24BIT/48KHZ DL in selected download stores. 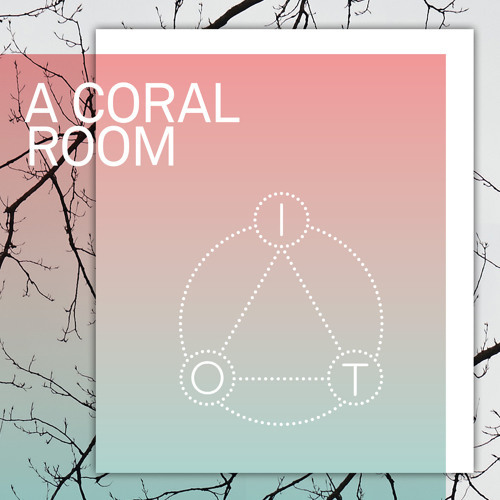 A CORAL ROOM - a new electronic improvised project by Matthias Vogt (Keys & FX), Oliver Leicht (Electric Reeds), and Oli Rubow (Dub Drums) arent just known within avant-garde circles, they´ve reached wider audiences in various constellations. They´ve played leading roles as musicians with groups such as "The Fantastic Four" and "DePhazz" (Rubow), contributed to "[re:jazz]" and productions in the electronic field (Motorcitysoul) and as DJ (Vogt), and played as a member of the "HR-Bigband Ensemble" (Leicht) – and now all three are part of the newly formed collaborative project, A CORAL ROOM. It´s about all about free improvisation, not a formal composition and production“. The Frankfurt-based trio combines the musical spontaneity of jazz with electronic aesthetics and the ‘loop thinking’ found in modern club music.